China’s navy sent its sole aircraft carrier into the Pacific for the first time, state media reported — a move likely to ratchet up regional tensions. The duration of the drill and the route of the flotilla were not known. But the Soviet-made carrier is based in the northeastern city of Dalian, suggesting the fleet would enter the Pacific through a disputed island chain between Taiwan and Japan. 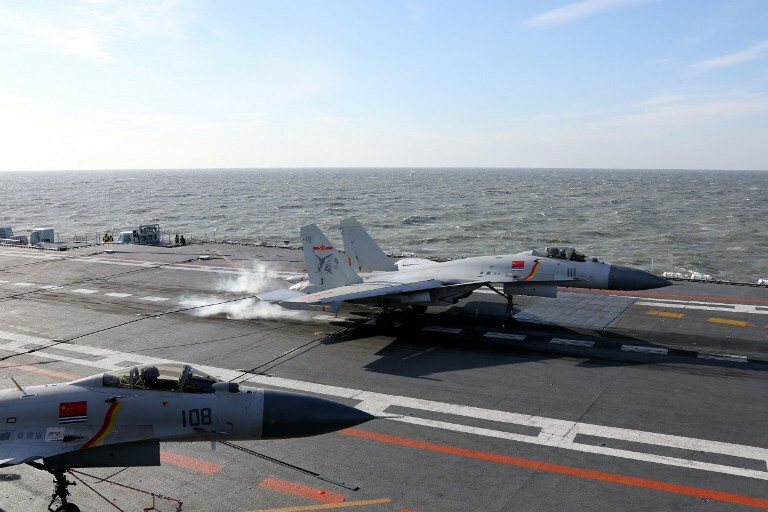 This file photo taken on an undisclosed date in December 2016 shows a Chinese J-15 fighter jet landing on the deck of the Liaoning aircraft carrier during military drills in the Bohai Sea, off China’s northeast coast. Photo: AFP/stringer. “A Chinese navy formation, including the aircraft carrier Liaoning, headed towards the West Pacific on Saturday for scheduled blue-water training,” Xinhua said Saturday, citing China’s navy spokesperson Liang Yang. Japan’s defence ministry confirmed eight Chinese vessels, including the carrier and three destroyers, had been spotted by one of its ships in the central part of the East China Sea on Saturday afternoon. 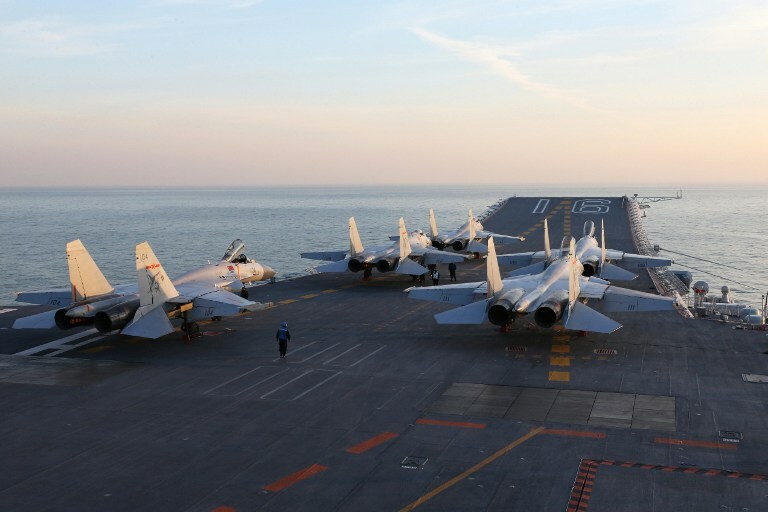 In recent days the Liaoning has been involved in exercises in the Yellow Sea, with J-15 fighter jets taking off from it and conducting air refuelling and combat drills, Xinhua said. Earlier in the month the Liaoning led large-scale exercises in the Bohai Sea that included live ammunition for the first time. State broadcaster CCTV in mid-December showed images of fighter jets taking off from the aircraft carrier, with targets exploding into flames and missiles releasing long trails of smoke. Tokyo controls the string of uninhabited islands known as the Senkakus in Japan and the Diaoyus in China that are also claimed by Beijing and Taipei. The Chinese navy drills are seen as a show of strength by Beijing at a time of rising tensions with Taiwan and the United States following a protocol-breaking telephone conversation between Taiwanese President Tsai Ing-wen and US President-elect Donald Trump. 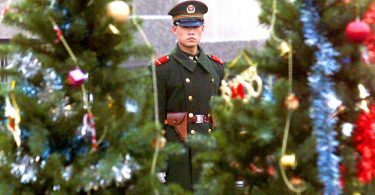 China views Taiwan as a renegade province and fiercely opposes diplomatic recognition of it as a country. 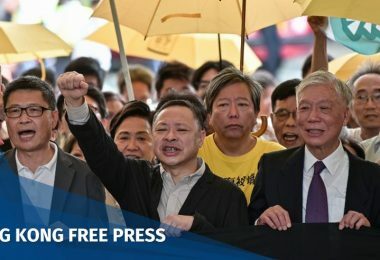 Beijing is seeking to modernise and upgrade its military both to protect its borders and project power into regions such as the South China Sea, a resource-rich strategic waterway where it has disputes with several neighbours. Last Tuesday the Chinese navy returned a US underwater probe it had seized in the South China Sea, where competing territorial claims have heightened tensions in the region. In December 2015, the ministry of defence announced plans for Beijing to build its second aircraft carrier.